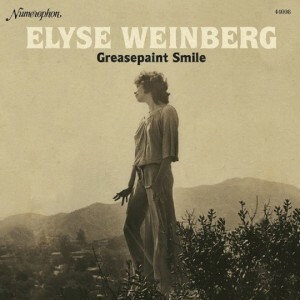 Exclaim.ca is reporting that the Chicago-based Numero Group was poking around Laurel Canyon and discovered an old, unreleased album from folk singer Elyse Weinberg. Its Numerophon imprint will be issuing the sessions, which featured Neil Young, as Greasepaint Smile on September 18. Numerophon is The Numero Group’s vinyl-only legacy imprint. Aimed at releases featuring plaintive and old-timey folk and gospel, blues, ethnic, field recordings, the musical outpourings of Appalachia, and so on, Numerophon is a label’s evolution run backward, into what Numero might have looked like circa 1948. Greasepaint Smile was to be the follow-up to Weinberg’s 1969 debut, Elyse. Her first album was issued by Tetragrammaton, but the label went out of business before Greasepaint Smile could be released. That said, a CD repress of Elyse in 2001 via Orange Twin had delivered two tracks from the sessions (“What You Call It” and “Houses”). “Houses” is especially notable, as it features lead guitar from Young. Of Shakey’s “signature fuzz-tone,” Numero says that it can be heard “casting chaos over the beautiful ballad.” The song has since been covered by the likes of Dinosaur Jr. and Vetiver, among others. In addition to Young’s guest appearance, the record also includes backup performances from the E. Street Band’s Nils Lofgren, J.D. Souther and Kenny Edwards. It was produced by longtime Crazy Horse cohort David Briggs.